Hong Kong summers can be unforgiving. 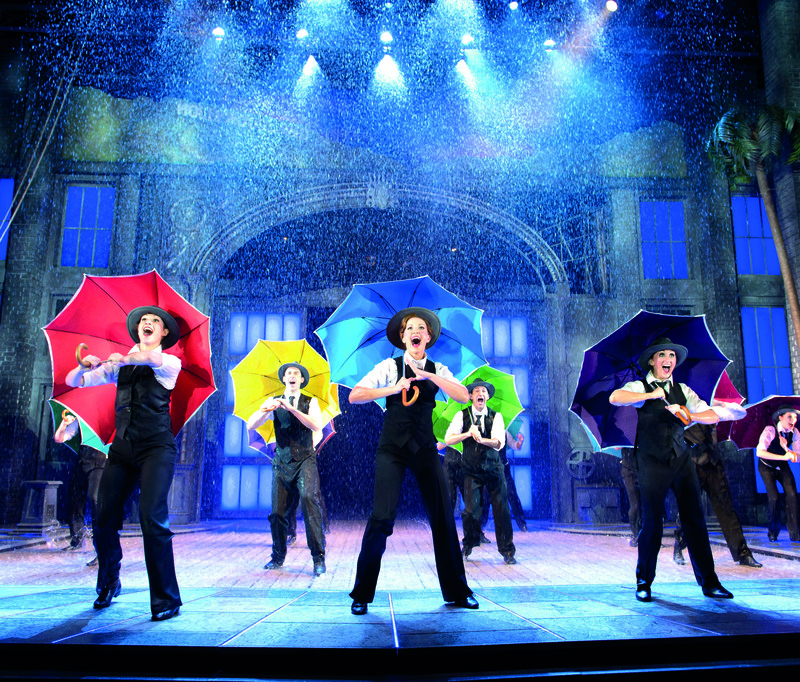 The scorching heat, the sticky humidity, the howling typhoons… the whole affair is just downright uncomfortable, which is why we think it’s incredibly timely that another hit musical from London’s West end, Singing’ in the Rain, will be making it’s way to Hong Kong. The critically acclaimed production will be opening on September 25th at the Lyric Theatre, Hong Kong Academy for Performing Arts, to brighten up all our days and to cool down with. Based on the 1952 film starring the charming Gene Kelly and Debbie Reynolds, Singin’ in the Rain follows Hollywood A-lister Don Lockwood’s transition from a silent film to an all-singing, all-dancing “talkie” star in the late 1920s. Ranked 5th on the American Film Institute’s list of 100 greatest American motion pictures of all time, it’s a lighthearted and lovable romcom, if you will, with a spectacular multi-Olivier Award nominated stage adaptation that cannot be missed. Getting the choreography right, especially the iconic Singin’ in the Rain scene (when Kelly tap dances, swings around light poles and pulls out generically idiotic moves in the rain) is of paramount importance, and producers have dedicated themselves to achieving that with half a mile of flexible pipe work, a 10 tonne water tank and a water system designed to flood the stage. You really don’t see that every day. With an estimated 12,000 litres of water used (and recycled, of course) per performance, audience members can expect stunning dance routines and involvement with the wetness. General ticketing sales start from May 7th. American Express Centurion Members may enjoy priority booking from April 21st, and all other American Express card members may book starting April 28th. The season is set to run from September 25th through to October 125th. Show times are Tuesday – Friday evenings at 7:45 pm. Saturday performances are at 2 pm & 7:45 pm, and Sunday performances are at 1:00pm & 5:30 pm. American Express card holders will receive 10% off ticket prices (except C reserve), and a limited amount of student tickets will also be available from $330 up! American Express Centurion Members are also exclusively offered West End VIP Splash Zone / Standard Zone Packages at $1250 which will include a guaranteed front row seat, signed show poster and more! 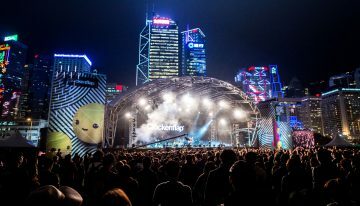 Visit HK Ticketing for more ticketing information. 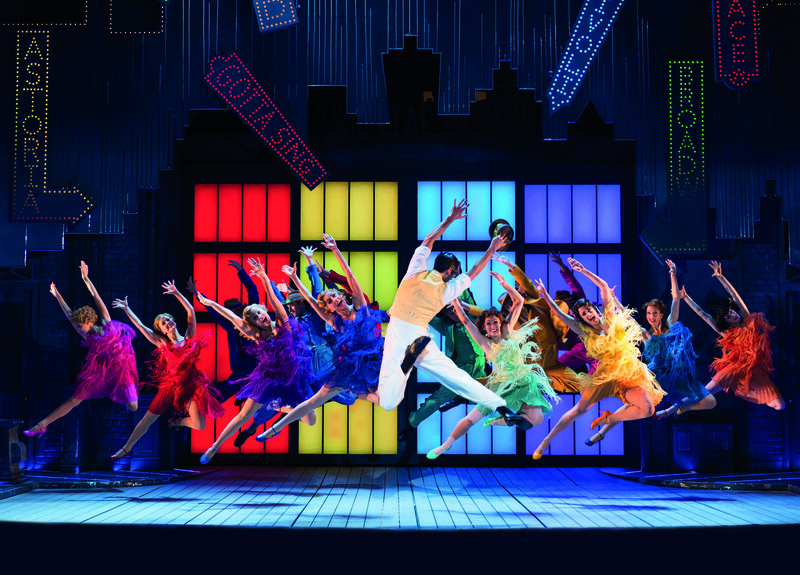 Click HERE for our offbeat interview with the Singin’ in the Rain cast, in which Duane Alexander (Don Lockwood), Bethany Dickson (Kathy Selden) and Steven van Wyk (Cosmo Brown) let us pick their brains on Tinder, Cha Siu Bao, Cody Simpson, and play Never Have I Ever.